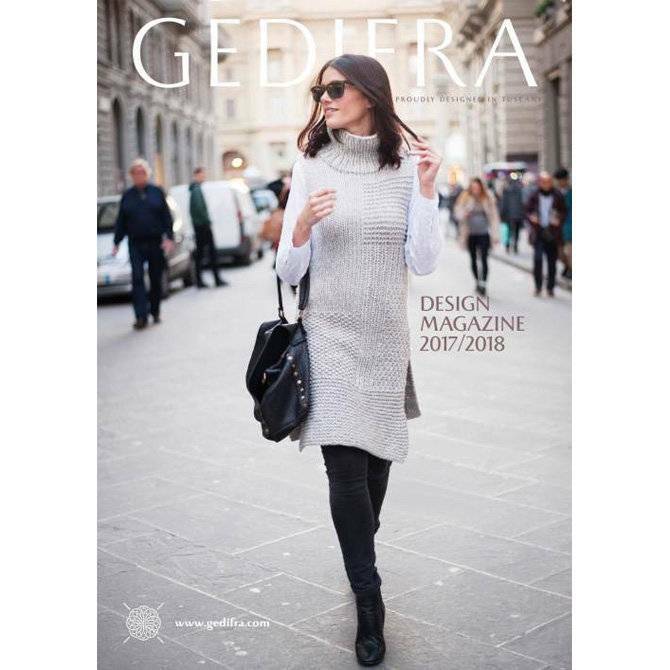 Gedifra Patterns Design Magazine 2017/2018 - Woolly&Co. Gedifra offers you high fashion concepts in a collection that will build a wardrobe with the latest trends. Design Magazine Autumn/Winter 2017/2018 will help take your knitting to new places with these comfortable and timeless pieces. Please note that the magazine is written in German and an English insert is provided with the color magazine.